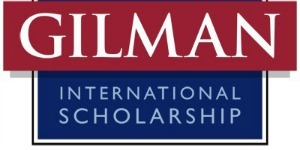 Scott Palmer (Prestigious Scholarships), Aliki Dragona (Continuing Lecturer in the University Writing Program and Faculty Director for UC Davis Faculty-Led programs in Study Abroad) and Nicole Uhlinger (Study Abroad) will discuss the U.S. Department of State's Benjamin A. Gilman International Scholarship Program and what makes a solid application. This workshop will focus on the scholarship essay and feature tips for editing and peer review. Please bring 3 copies of your draft to the workshop and be prepared to share your draft with fellow applicants and workshop leaders. The scholarship program, for students participating in credit-bearing study abroad programs and international internships, aims to diversify the kinds of students who study and intern abroad, and the countries and regions where they go. Application is open to U.S.-citizen undergraduate students who are receiving federal Pell Grant funding at a two-year or four-year college or university, with funds awarded to participate in study and intern abroad programs worldwide.